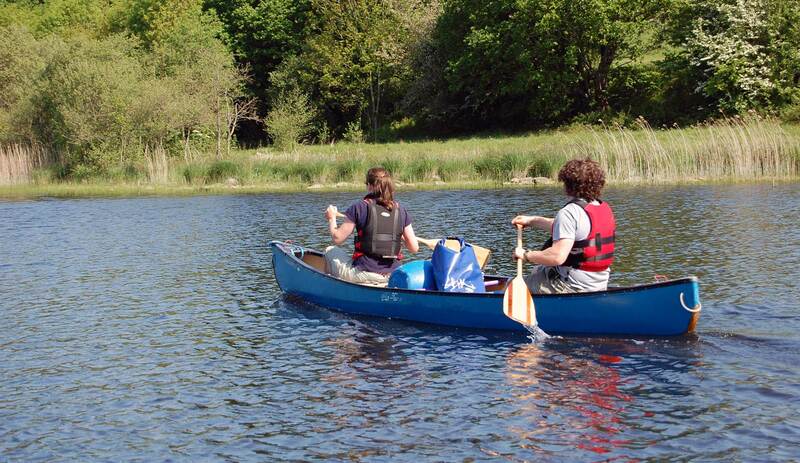 Fermanagh is an ideal destination for canoeing enthusiasts with the magnificent lakes of Upper and Lower Lough Erne, lined by the River Erne, providing a trail of up to 50km. 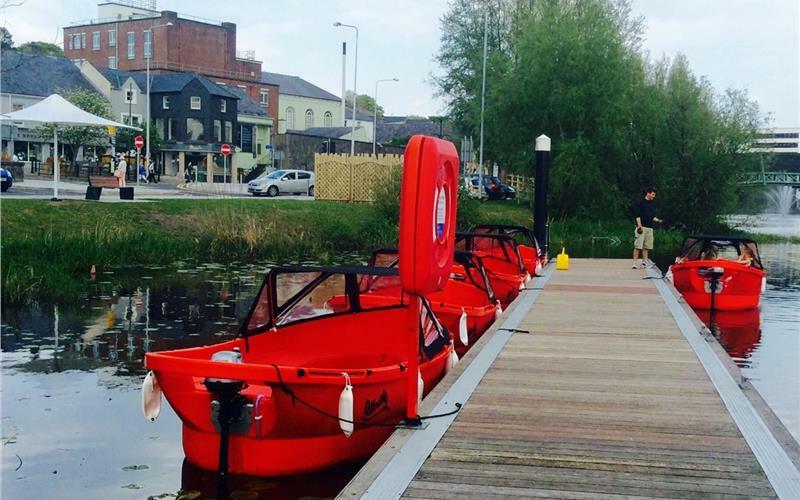 From the Woodford River on the Upper Lough the Shannon Erne Waterway can be reached and from there it is possible to paddle all the way to Limerick! 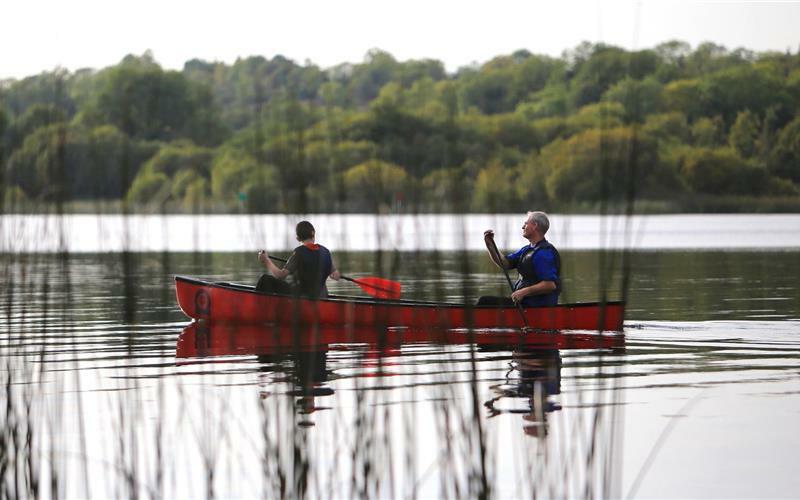 Lower Lough Erne and its rugged shoreline provide a vast expanse of open water where large waves can build during windy periods – an ideal venue for the experienced paddler! 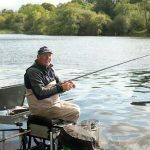 In stark contrast the Upper Lough provides good shelter with its maze of bays, narrow channels of slow flowing water and innumerable islands and peninsulas – offering a superb venue for the whole family! 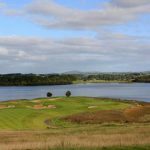 Upper and Lower Lough Macnean, located to the West of the Erne System and in full view of the breathtaking Cuilcagh Mountains, flow into the Erne system via the River Arney and offer a fantastic touring venue. While the River Arney is faster flowing (grade 1). For those who wish to know more about the area, there is on-shore interpretation at points marked 1-10 on the Canoe Trail map. Although the access points are numbered 1 – 10 from Muckross on the Lower Lough to Crom estate on the Upper Lough – the trail can be paddled in either direction. Canoeists can choose to paddle the entire trail or just a section. The comprehensive guide has been designed for canoeists by canoeists and gives practical advice on everything required for an enjoyable experience including details of campsites, water points, phone numbers etc. It is available from a range of outlets and at just £1.50 it is a very inexpensive guide to the entire trail. You can get a copy of the guide from the Fermanagh Tourist Information Centre by calling +44 (0) 28 6632 3110. Year commences from St Patrick’s Day 17 March and runs until the end of October. However boats are available all year round with prior notice and can be booked via mobile phone, Facebook or by e mail. First boat available at 10:00am last boat out late, depending on daylight.